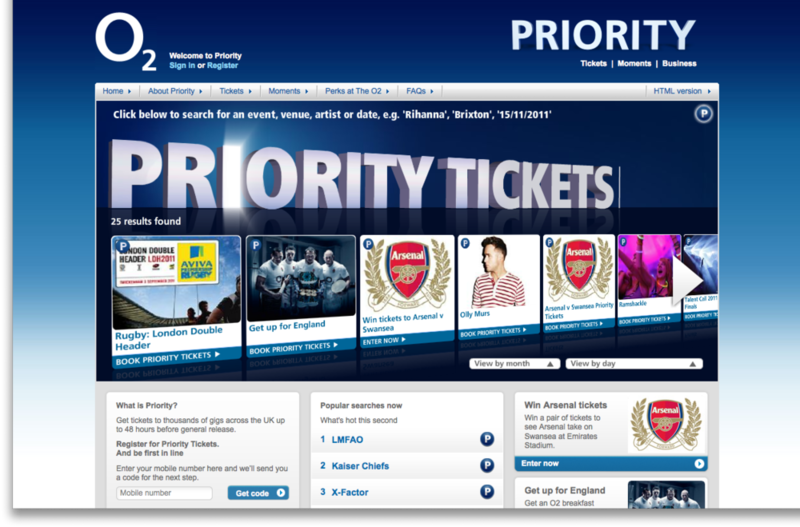 O2 Priority was the start of building customer relationships by rewarding them with unique and relevant O2 experiences, such as tickets to your favourite gig 48-hours before non O2 customers. 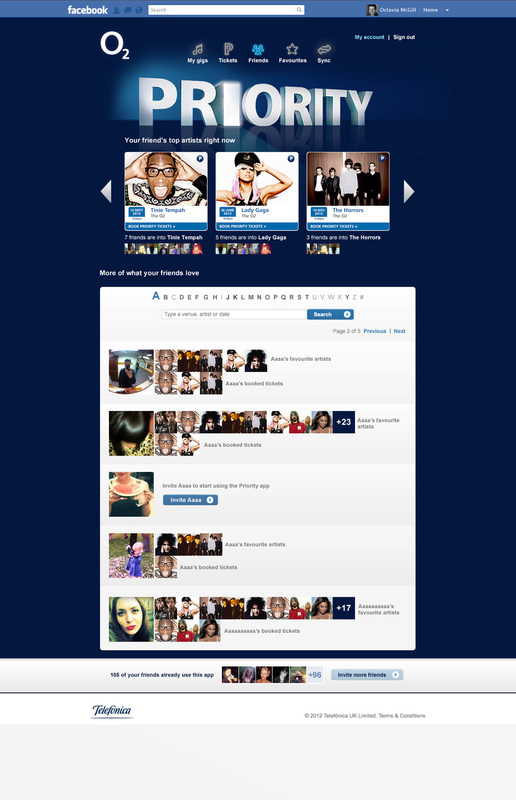 Whilst at ais London I worked to develop the design of O2 Priority pages online and as a Facebook app. The webpage would adapt to show customers information on the music and events they had ticked in their preferences. The Facebook app took it a step further by synching their friends activity with theirs, helping to create an enhanced gig going, event loving, music listening experience.